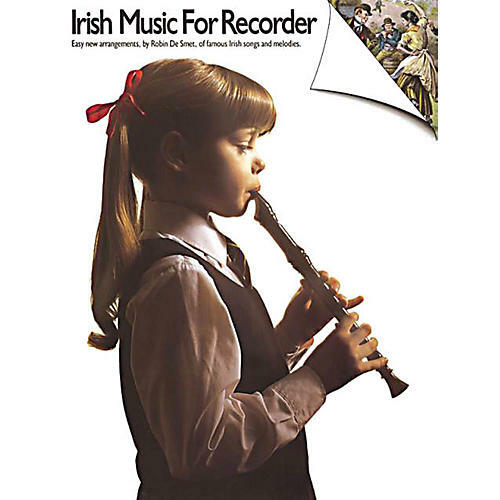 An outstanding collection of easy recorder solos consisting of Irish songs and melodies famous throughout the world. Includes Cockles and Mussels, The Londonderry Air, Galway Bay and The Garden Where. Contents: Believe Me If All Endearing Young Charms · Cockles and Mussels · Dear Little Shamrock · Down by the Tanyard Side · Galway Bay · Garden Where the Praties Grow · Harp That Once · I Know Where I'm Going · I Once Loved a Boy · If I Were a Blackbird · I'll Take You Home Again, Kathleen · Killarney · Last Rose of Summer · Londonderry Air · Oft' in the Stilly Night · O'Raffertys Motor Car · Patsy Fagan (The Dacent Irish Boy) · Rose of Tralee · She Moved Through the Fair · Spinning Wheel · Teddy O'Neale · The Gentle Maiden · The Irish Washerwoman · The Lark in the Clear Air · The Maid of Sweet Gurteen · The Minstrel Boy · The Road to Lisdoonvarna · The Stuttering Lovers · The Wild Colonial Boy · Trotting to the Fair.